Learn how theological librarians can forge collaborative enterprises to help integrate digital humanities into academic research and teaching. Coordinating partnerships among digital humanities specialists, faculty, and other researchers allows theological librarians to provide additional services while also enhancing their standing within the academic community. We will highlight specific examples of text analysis, including identifying and visualizing Deuteronomic phrases with African-American slave narratives, and visualizing similarities between George Whitefield’s sermons and hymns. 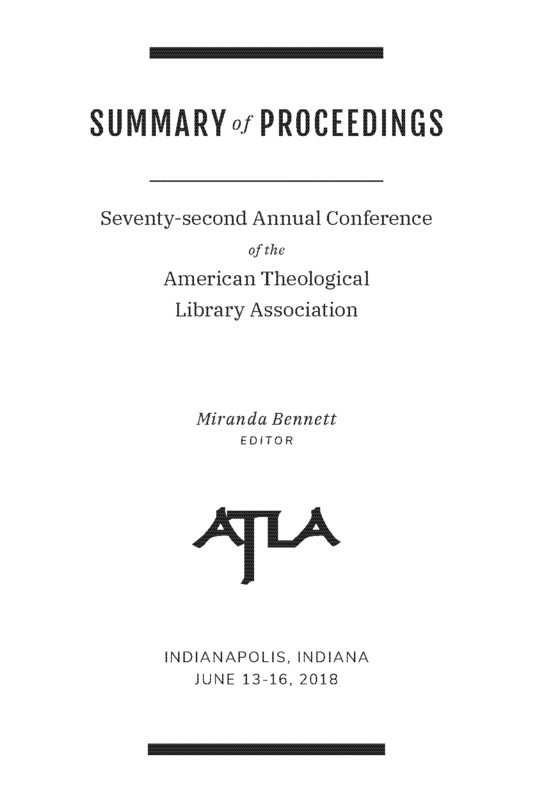 We will share and demonstrate custom-developed applications and methods to help theological librarians quickly get started in digital humanities. We look forward to sharing with you our successful collaborative endeavors.